Home>Music> Offset Gets Lost In The Sauce On "Hot Ones"
Hot Ones comes through with another solid episode, this time tapping man of the hour and noted father of four, Offset. A self-professed fan of "mild," and "mild" alone, Offset seems in good spirits at the onset of the spice gauntlet. Easily tackling questions on fashion, Freakazoid, and his jewelry, Offset continues his newfound habit of candor. Before long, Sean hits Offset with an interesting question about the Migos rapper's habit of studying music industry analytics. "The numbers match up to what you are," explains Offset. "Your worth go by your numbers. The lower the numbers, the lower your worth. That's just how it is. As an artist, you can get lost in your mind thinking you somewhere else, like 'I'm this good, I'm big.' In actuality, your numbers might not match." When Sean asks about any surefire way to craft a rap fit, Offset keeps it simple. "The Migos flow," he states. "At one point in your career as an artist, you're going to use that flow." 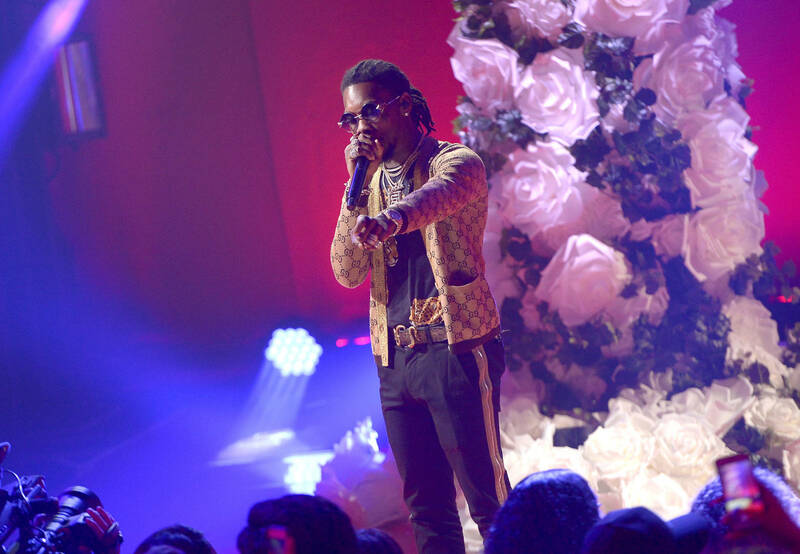 Offset also reveals that Ric Flair personally called him, informing him that "Ric Flair Drip" was to be the official anthem of the Flair wedding. "I'm like he seriously finna walk his marriage listening to a rap song, usually it's like a love song. When I seen his walk, he was lit, he was happy. He told me it was one of the best things to ever happen to him. He was going through a little health issue, he was like, it just gave him more drive. It was inspirational. Ric Flair was the first one with these rolexes and these jets." He also opens up about revealing some of the nontraditional elements of a trapper's life, including the more vulnerable moments. "It's okay to show a vulnerable side as a man. It's really a great thing to do as a man, cause most men run from it," says Offset. "I feel like you a stronger man by doing it. Instead of holding back, you just holding back your feelings, and that's not true. We all got feelings, I don't care how tough you supposed to be." For more from Offset, including a hard-fought "Last Dab," check out the full episode of Hot Ones below. MUSIC Offset Gets Lost In The Sauce On "Hot Ones"